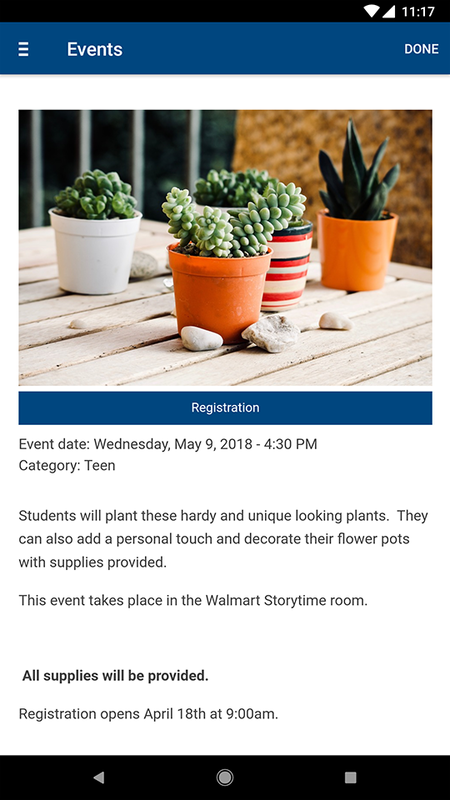 Your users can register for programs and events right from your library app. Accept online and in-app registrations with limits. Create events and manage registrations from the Stacks Dashboard. Users can submit surveys, polls, or other forms right within your library's app. 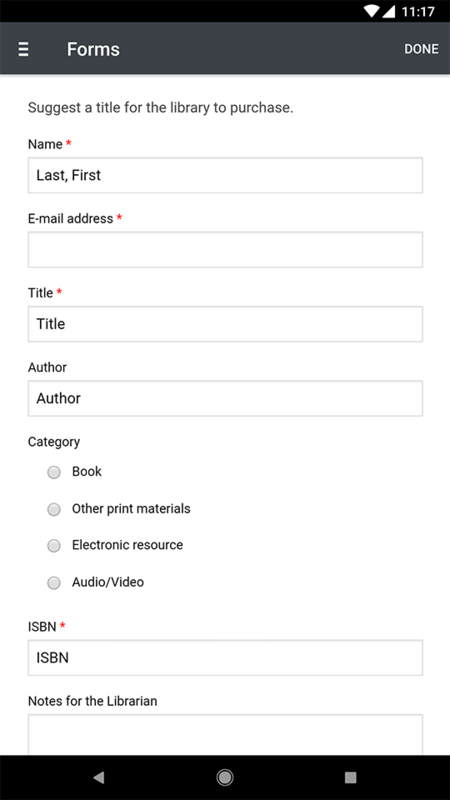 The forms are created and submissions managed in the Stacks web platform using the Easy Forms tool. 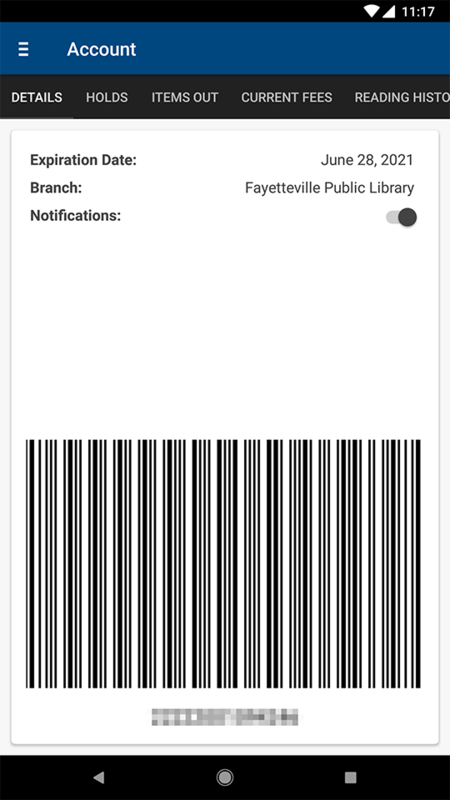 Access the Easy Forms tool from the Stacks dashboard. 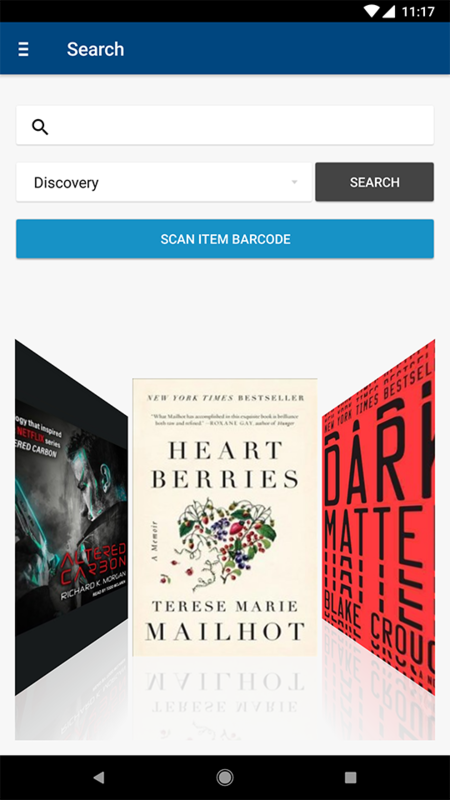 Your users can book rooms in your library right from your app. Accept online and in-app bookings without conflicts. 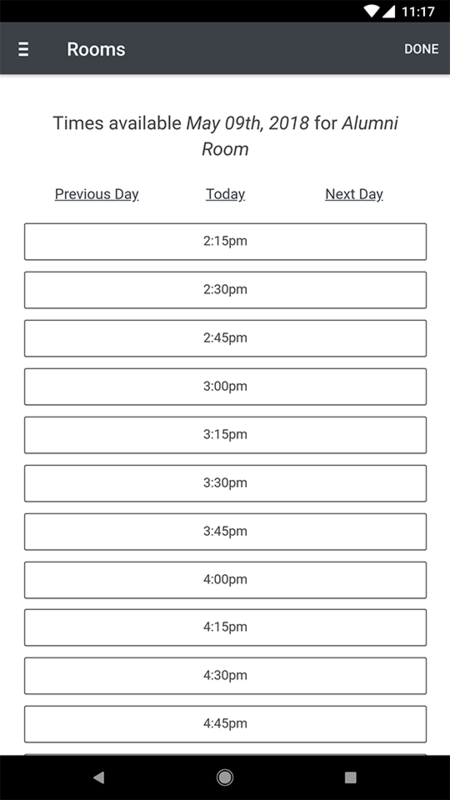 Create rooms and manage bookings from the Stacks Dashboard. 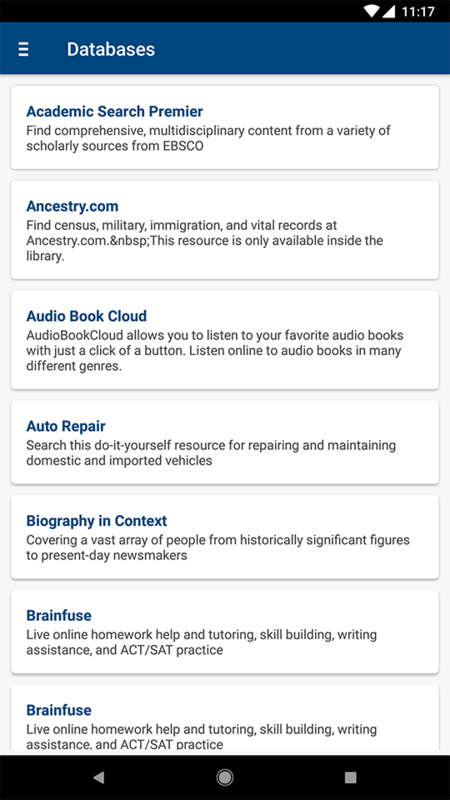 Listing Databases on your Stacks mobile app provides your users access to valuable resources and materials at their fingertips. Database Listings are managed from your Stacks Dashboard.